My Singing Monsters is a beloved and critically acclaimed top-grossing game on the App Store and Google Play, with more than 80 million players worldwide! The game explores rich, intriguing worlds as players are engaged in discovery, creativity and delight by breeding and feeding Singing Monsters to build unique melodies. Each monster has its own unique sound, so players can mix and match monsters to create different melodies. Now that game has come to life in harmonizing collectible figures for 2019! 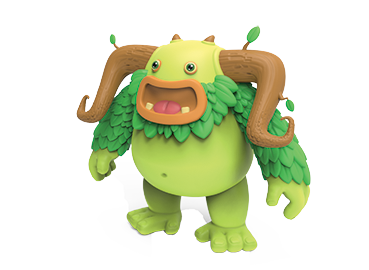 Beginning with Plant Island and some of players’ favorite monsters, PlayMonster is designing highly detailed figures that sing alone, and with other collectible monsters! Stay tuned for more details!